Catalina Island - we are looking for Giant Black Sea Bass, which are usually abundant this time of year. We'll hit the sites where they often congregate or have been sighted recently. Giant Black Sea Bass - the past few years we've always had some sightings, though it's never guaranteed. If you see these giant beauties, they are usually swimming along, or sometimes will stop and hang out. Sometimes solo, sometimes in small schools. Let the fish approach or swim by you so you don't spook it away. If they are hanging out, approach slowly and cautiously and keep your distance so they don't spook. That way everyone can enjoy the sighting. 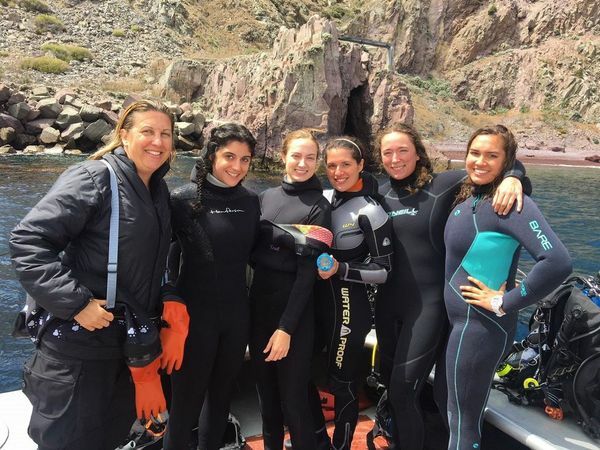 If the GSB are not around, we'll enjoy kelp forests, sea lions, schools of fish, bat rays, angel sharks and more! Visit https://www.bluewaterphotostore.com/catalina-sea-bass-trip to sign up!